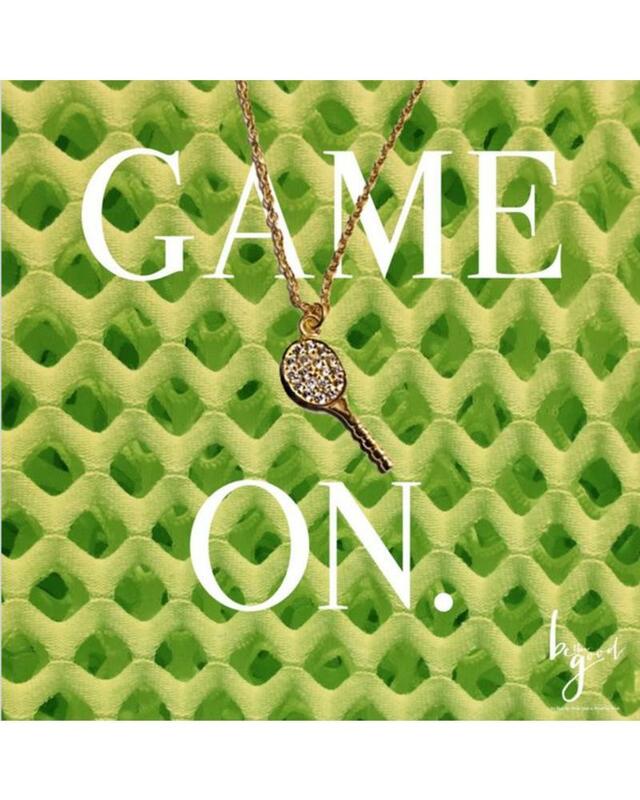 The Game On icon necklace is available in gold vermeil and silver pave crystal. 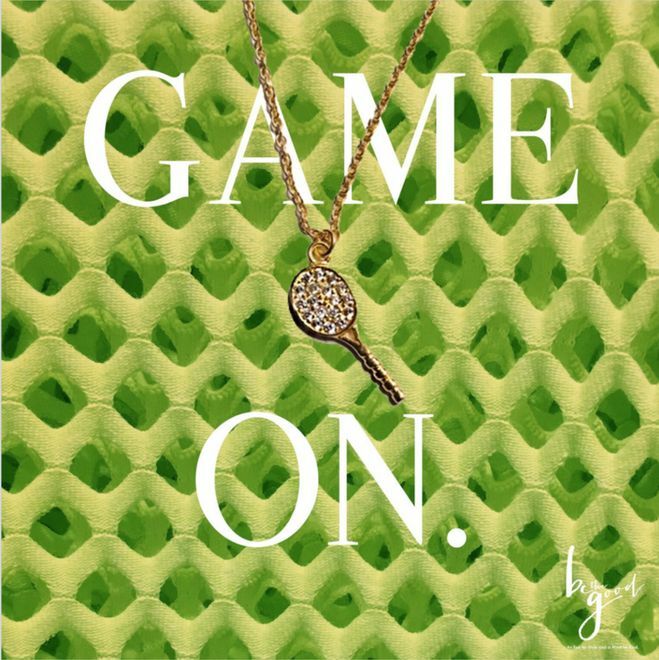 For each icon necklace purchased, Be The Good donates an accessory to the not-for-profit Dress For Success. Icon necklace mounted on inspirational easel-back card. Adjustable 16 inch chain included.